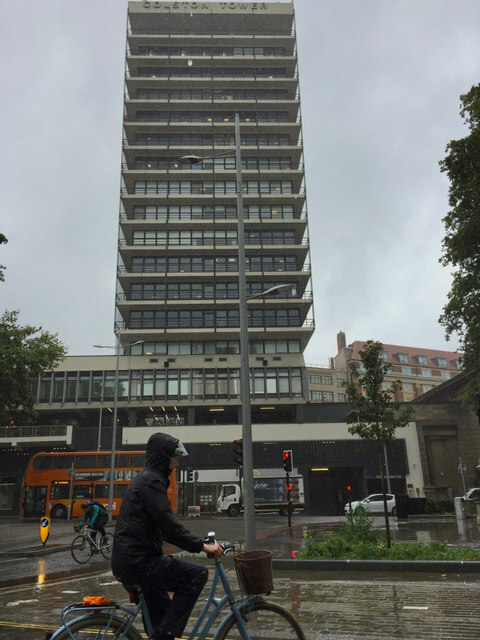 Looking across Colston Avenue to the building which was designed in 1961, but not completed until 1973. It is 63 metres (207 ft) high, with 15 floors of offices. As with the avenue and other features of the area it is named after Bristol-born philanthropist, merchant, slave trader and MP Edward Colston (1636-1721).